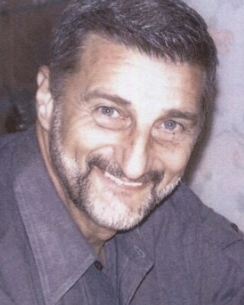 Vincent Anthony Marchetti, 79 of Lauderdale-By-The Sea, FL and Kearny, NJ, after fighting cancer passed away from our world and lives on September 5, 2018. Vincent’s charismatic nature, quick smile, sparkling blue eyes and his dedication to martial arts and the US military will always be remembered. Grand Master Vincent Marchetti, a 10th Dan, was born in 1939 in Jersey City, NJ. He was the owner of Kearny Martial Arts where he not only taught the traditional Japanese Martial Arts, but also the history pertaining to its origin. His students learned this history, as well as the beginnings of the dojo and the ways of the Samurai. He is the founder of “Michi Budo Ryu” meaning the “Best of the Street Warriors” and his system was a combination of the most realistic techniques of Judo, Jujitsu and Karate. His school brought students not only Kearny, but as far away as New York and Pennsylvania. Sensei participated in more than 1000 shows and seminars throughout the United States. A plaque in the school reads: “If a student fails to learn, a teacher fails to teach”, and Sensei never failed his students! Vincent entered the US Army in1962 where he represented the US in Europe on the American Boxing and Wrestling teams. Since that time, as a certified police instructor, he had instructed continuous classes for police, military, SWAT and US Marshals Rapid Response Team Counter-terrorism Units all over the country. His instruction brought him medals and awards from the Army, Navy Seals and Green Berets for teaching their Advanced Close Combat instructors, as well as awards from many state and federal agencies for teaching officers and agents. Vincent is survived by his wife, Carmen, his brother, John and wife, Anne and many other dear family members, friends and associates in the Martial Arts community. In lieu of flowers, a meaningful and reputable charity that exemplified Vincent’s passion for the military is, semperfifund.org. This organization provides immediate financial assistance and support to post 9/11 combat wounded, critically ill and catastrophically injured members of all branches of the US Armed Forces and their families. Vincent Marchetti’s last request that is being honored and respected was to not have any viewing or services. As Vincent said, “Life is about how to win,” and the Marchetti family hopes that you celebrate his life by winning in your own way. Work hard in your Martial Arts practice, smile greatly with family & friends, take a (fast) ride in your favorite car, motorcycle or boat, stand for the National Anthem, explore the underwater seas, tease your favorite brother or sister, pass out a “baseball card” or two, enjoy a piece of apple pie and any other ways that make a connection with you and Vincent! Celebrate Vincent’s life “your way” and know that he is by your side!